Transcoding is changing the secret code in the electronic door lock. Change is necessary in case of key loss. Timely recoding of the lock will protect the house from intruders. - a new set of keys. The most secure method for recoding of the lock is to call an expert. The main thing - to do everything correctly and without damage.Before you change the code to read the instructions. You can also consult by phone with a specialist from the company that installed the door. If you decide to handle this task yourself, be attentive and careful. The procedure for changing the code will take 3-5 minutes. 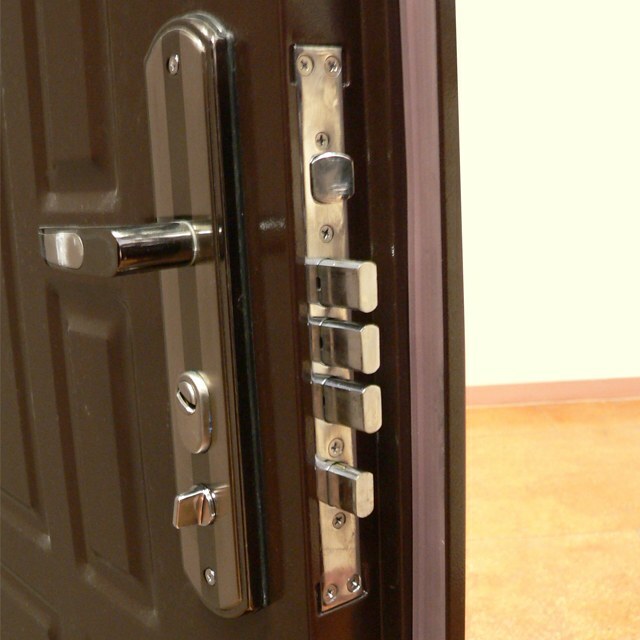 The operation of replacing the unique code of the lock can be implemented and external and internal side of the door. With the door open turn the key in the lock until the latch is completely POPs up. Enter a special device in the hole, it is under the latch, vigorously tap the inside of the castle to overflowing. Continue to press the special key to replace the code, turn it counterclockwise to the end. Hearing the click, remove it. Enter in the castle one of the new keys is in the set, and return to the original position all the elements of the latch while turning the key in the lock until it stops. Before closing the door several times, turn the key in the lock in both directions to ensure normal functioning of the lock. Your castle re-encoded, the old keys no longer fit that gives you a guarantee of security. Every step slowly and carefully, to prevent breakage of the castle. Recoding of the lock is much easier than changing the entire castle. It does not require you to additional costs. Most importantly will protect you from thieves or criminals. Let your home always remains your castle! When installing the doors, the specialist uses the installation key, which after completion needs to be replaced with a new master key. Recoding is possible for an unlimited number of times. When installing the door check to see what is included in the kit. Must be the spare keys and special devices for recoding the lock.